Welcome to the first installment of Saturday Morning Bluegrass! 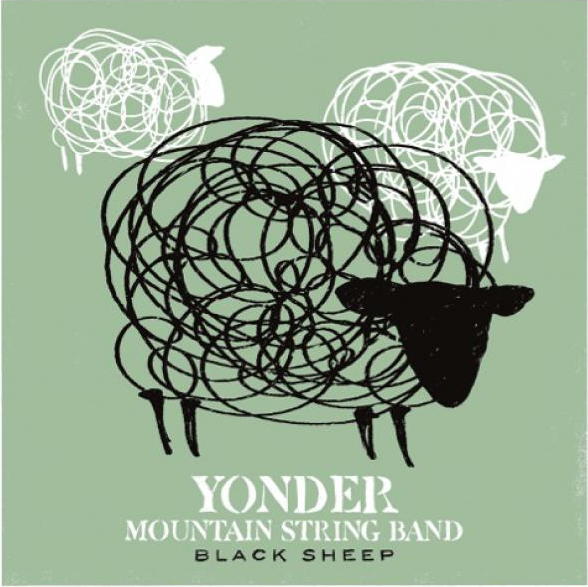 This week's featured artist: Yonder Mountain String Band. YMSB first hit the scene in 1998, a quartet at the time. The band would go on to make an instant splash in the world of acoustic music. Their overall style is rooted in traditional bluegrass, but is progressive, mixing in rock and mind-blowing improvisation. After 17 years of making music and touring relentlessly, YMSB shows no signs of slowing down. The band went through a lineup change last year when founding mandolin player Jeff Austin decided to pursue a solo-career but we will just call that a small hump in the road. Soon after Austin's departure, the three remaining members Adam Aijala, Ben Kaufmann, and Dave Johnston continued to tour, playing with whoever they could find to sit in. From the beginning two stood out, fiddle player Allie Kral and mandolin player Jacob Joliff. The two are now official members of the band. Earlier this week YMSB, as a 5-piece, released a new album entitled "Black Sheep," through their own Frog Pad Records. The album sums up a long career of pushing boundaries and breaking down barriers. Its bluegrass, but with a spin. Without further ado, here is "Annalee" off of the new album (available on the YMSB band page). Jim Grim releases new album "Ifomi"